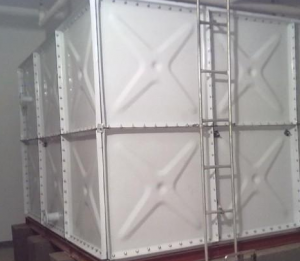 What is the Â advantage Â of galvanized steel water tank compare with Â any other material tank on the material ? Galvanized steel water tank with advanced technology, scientific moulding process increase the intensity of a few times, not only ensure the maximum pressure to water tanks, and saves materials, meet the requirements of the water tank which is beautiful and practical.Galvanized steel water tank sealing ability is well, not easy to breed algae and red worms, avoid the secondary pollution of water.Selects the high quality material, by hot dip galvanized, make water tank panel forming dense galvanized layer, and steel interface between ion penetration, each other mixing diffusion layer and increase the galvanized surface adhesion strength.Galvanized surface is smooth, easy cleaning, and corrosion resistant steel plate assembly structure, deformation and strong vibration resistance, resistant to impact.These are not just simple plating on a layer of zinc. 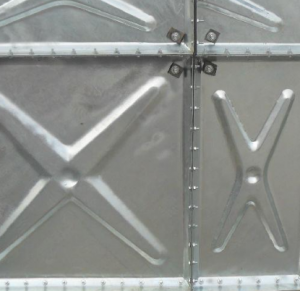 The corrosion resistance of galvanized, prices are cheaper than stainless steel plate, stainless steel plate ‘sÂ price isÂ several times of galvanized steel.